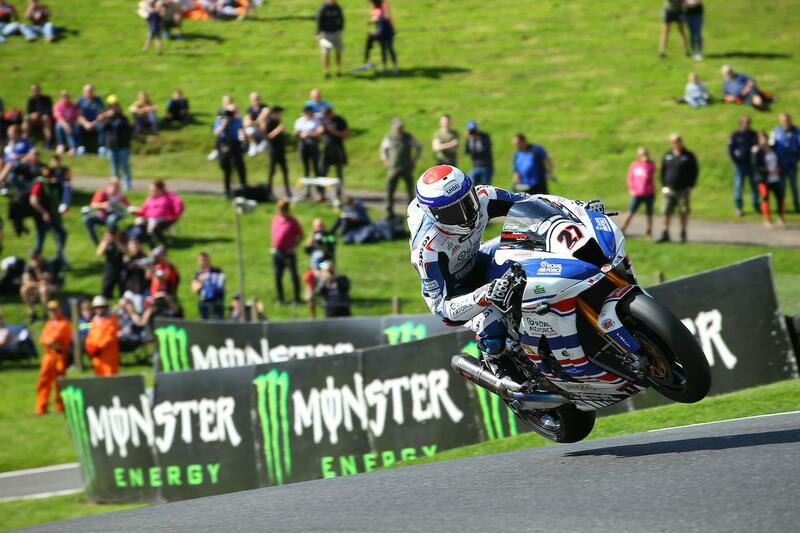 RAF Regular and Reserves Kawasaki’s Jake Dixon is determined to move himself into a top six Showdown position at Cadwell Park this weekend and got off to an ideal start with P2 on the opening day. The 21-year-old was just 0.03 seconds off pacesetter Shane Byrne, with both the young gun and his former mentor under the Lincolnshire circuit’s race lap record. Cadwell Park and Silverstone are two crucial rounds for Dixon, who, despite having stood on the podium four times this year including two victories at Knockhill, is currently outside the all-important top six and with the cut-off point looming, strong results over the next two rounds are more important than ever. “It’s been a good day, we’ve tried a lot of stuff,” Dixon told MCN. “We seem to have got to the stage where wherever we go we seem to be fast so that’s obviously a positive. There are a few things we need to change, I’m struggling a lot in sector one so we’ll make some changes tomorrow to get me feeling a bit more confident on the bike.